A tinted treatment that awakens eyes with a pearl-like luster, hydrates and reduces the look of dark circles and wrinkles — instantly and over time. Size: 13 ml | 0.4 fl. oz. $85 | 15 ml / 0.5 fl. oz. Awakens: Light-refracting pearl pigments work with Akoya Pearl extract in an active skincare treatment formula to restore radiance by helping to address the 3 causes of under eye darkness: thinning skin, blue undertones and pigmentation. The Pearl works to address dark circles and fine lines and wrinkles by helping to minimize glycation and the appearance of hyperpigmentation, boosted by niacinamide, known to visibly brighten and firm. For all skin types. Non-comedogenic. Non-irritating. Non-sensitizing. Dermatologist tested. To open, twist top counterclockwise. Smooth a rice-grain amount of treatment under each eye, like applying a moisturizer. Once evenly applied, pat gently to set the color as you would apply a concealer. The Pearl is rated 4.8 out of 5 by 81. Rated 5 out of 5 by Youngatheart from Great Product for Treatment + Illuminating Effect I’m 65+ with nice skin, except my under eye circles and fine lines are getting dryer and darker. This product is perfect for my daily minimal makeup look; its illuminating effect takes years of age off my face! As instructed in the video, I follow the DOT, GLIDE & TAP technique to ensure its moisturiser compound is properly tapped to into my skin. As it said ‘a little goes for a long way’, so with the right amount of cream & technique, I don’t have any issues like caking or settling into the lines. The skin around my eyes remain translucent and well hydrated through out the whole day. I’m extremely happy with this (treatment + illuminating) product! Rated 5 out of 5 by Ellen34 from Perfect for natural undereye coverage I just recently got this product when it was launched because I needed a low coverage daily concealer for going to work and on my off days. I generally don't wear much makeup but I like to have just a bit of coverage under my eyes to keep from looking tired. This is absolutely perfect for those needs, and I think I've found my new holy grail daily concealer. It takes a bit of working in before it settles, but then it looks like the most natural amount of coverage. It looks like you woke up naturally looking well rested and bright-eyed. I love that it also has long term skincare benefits, and that's just another reason that I already know I'm going to be repurchasing this for a long time. Rated 5 out of 5 by jyng from A tiny dab goes a long way Smooth, thin consistency that is pigmented enough to illuminate and brighten the dark circles underneath my eye. Not sure about how well it works with extremely dark circles, but as a 23 year old with slight dark circles, I am very pleased with this as it has completely replaced the concealer I usually use. Just a tiny dab on the finger is able to bring full coverage to both my eyes, so this will last me awhile. I’ve also used this on my chin and nose, and it’s worked very well as natural looking coverage. One thing to note is that when you first put it on, it make look a little powdery but this goes away in a minute or if you continue to blend with your finger or blender. Rated 5 out of 5 by Anonymous from The Outstanding Pearl It's MAGICAL! 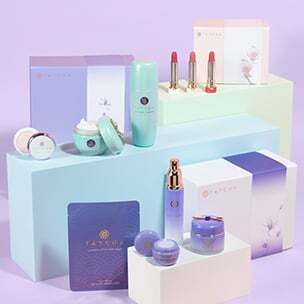 I normally do not believe in putting anything under my eyes except eye cream but since I received this magical product from Tatcha, I cannot complete my skincare ritual without using the Pearl. It's hydrating, blends incredibly well and does not give you the "patchy" look after application. I will be telling my sisters and friends about this product. The lavender color container that comes with it is decoration in itself. 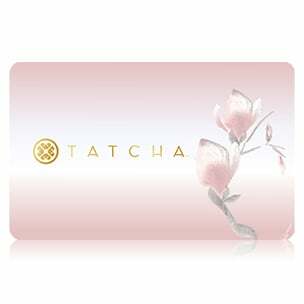 I own almost the entire line of Tatcha products and this is the best, hands down. Continue your excellent work Victoria. Rated 5 out of 5 by Keakulina from Best Ever Under Eye Cream! I've tried several under eye concealers over many years but they just didn't work. I'm African American and purchased the candlelight color that the model with Victoria uses. I just received my shipment and upon opening the container my first thought was "oh no, this is too dark" But I tried it anyway and oh my goodness it's perfect!! The cream immediately soaked into my skin and blended beautifully with my skin tone. My under eye area looks bright and healthy which in turn makes my eyes look brighter. I love this product and highly recommend it as it doesn't cake nor look heavy in that delicate area. I don't have to put other makeup on top of it at all. I'm absolutely delighted with this purchase!!! Rated 5 out of 5 by RebeccaLC from Great Product! I’ve been using this for about a week now and I love the result it brings to my pronounced dark circles. When I got the cream, I was dubious about what it could do because it is very lightweight. But when you apply it, it creates this great luminosity that really draws attention away from my dark circles and doesn’t settle in my lines at all (I am 55, although people say I look 10 years younger). I have been so happy with it that I am using it without a concealer, though I will try the technique suggested in the video. But if it’ a trade off between coverage and accentuating my lines, I’d rather skip the concealer! Rated 5 out of 5 by Alix825 from Light in a jar This product is AMAZING. To truly appreciate, understand that it's not a concealer; it's a hydrating, nourishing under-eye treatment that reflects and diffuses light, with a bit of pigment to blur the look of dark circles and fine lines. (Think of a moisturizer blended with YSL's Touche Éclat.) 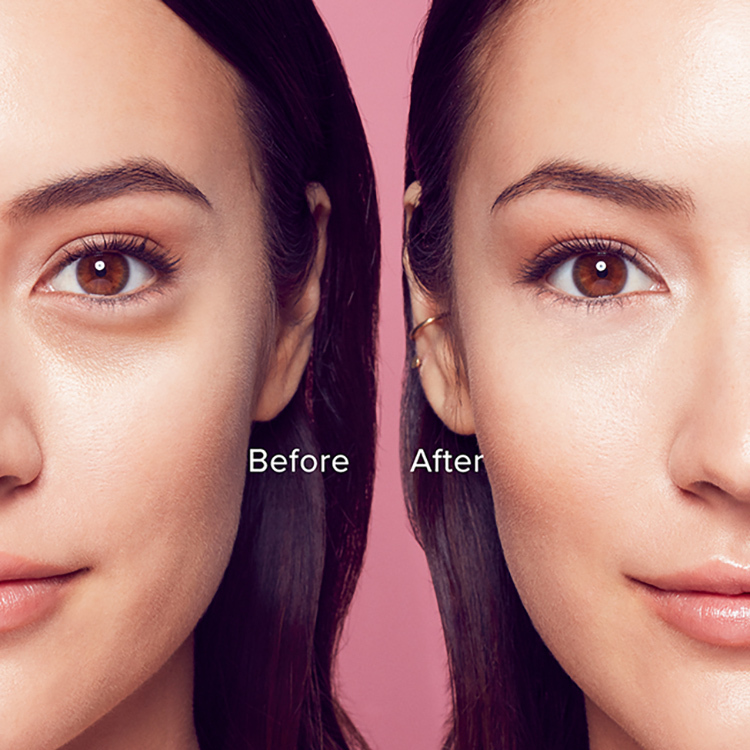 It really does noticeably lighten and brighten the under-eye area. And a dab the size of a rice grain is truly all you need -- a little goes a surprisingly long way (so a jar should last you quite a while). Absolutely thrilled with The Pearl! Can you apply your normal concealer/foundation routine over top or is this supposed to be in place of concealer? Is it ok to use/apply the eye treatment when I don't want to wear any makeup?? Thank you for your question! Absolutely! The Pearl was formulated to make eyes concealer-optional, and you can certainly wear this treatment without any other makeup. We hope this helps! Hi Sara! The Pearl is an Eye Treatment that also tinted to brighten the under eye area. You can use this item alone or apply a thin layer of another eye treatment underneath if you need extra hydration and moisture. I see you recommend the Silk Canvas prior to the Pearl. But even following your video directions (with tiny amount), the Pearl treatment does not seem to press in... I see little powdery bits and it pills a bit if I try to fix it. What am I doing wrong? Thank you for your question! We would be happy to make suggestions so you can achieve the beautiful, bright finish so many of our friends do! Less is more with The Pearl. Take a rice grain amount for each eye and dot in under the eye from inner corner to outer. Glide your ring fingertip back and forth to break the formula, releasing the hydration and essential ingredients. We do not suggest using a brush or sponge. Lastly, tap the formula into the skin gently to set. Also, you will not need another eye cream underneath, so we suggest using The Pearl as your primary eye treatment for day. If using the Silk Canvas directly under the eye, do not apply much. We suggest doing the entire face first, then with whatever is left on your fingertips afterwards, just tap the remainder under the eyes. We hope this helps! Is this the same as the eye cream with tint. I have everything else and working on the eyes. Yes it is! The Pearl is a tinted water-based eye cream that instantly brightens the under eye with illuminating Pearl pigments. It will hydrate, smooth, and also brighten the appearance of darkness over time with Akoya Pearl extracts from Japan. We hope this helps! How would I choice the shade thats right for me ?